There are plenty of GNU / Linux softwares to monitor server performance (hard disk space, network and CPU load) and general hardware health both text based for SSH console) and from web. phpsysinfo is yet another web based Linux monitoring software for small companies or home router use it is perfect for people who don't want to spend time learning how to configure complicated and robust multiple server monitoring software like Nagios or Icanga. 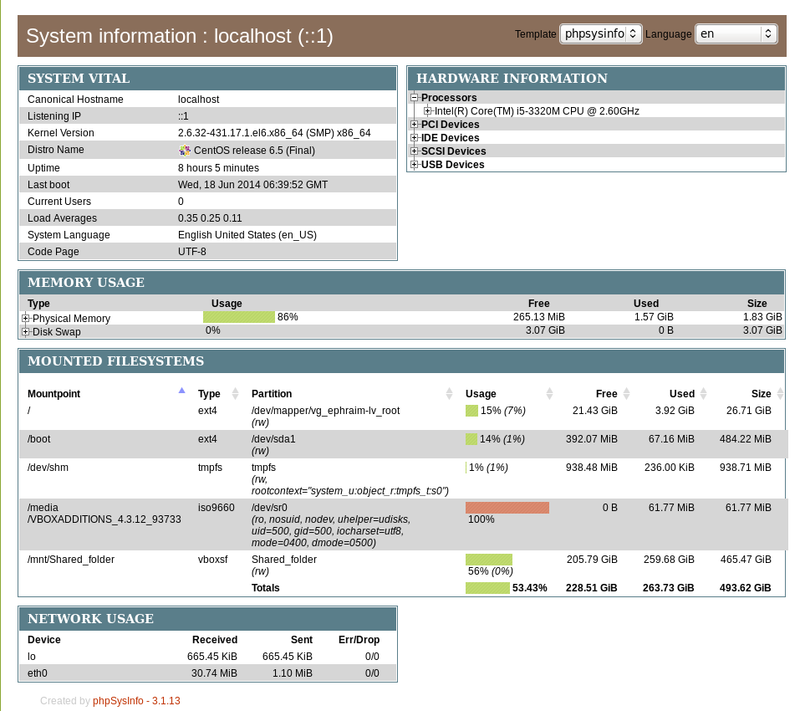 phpsysinfo is quick and dirty way to monitor system uptime, network, disk and memory usage, get information on CPU model, attached IDEs, SCSI devices and PCIs from the web and is perfect for Linux servers already running Apache and PHP. PHPSysInfo is very convenient and could be prefered instead of above tools for the reason it is available by default in Debian and Ubuntu package repositories and installable via apt-get and it doesn't require any further configuration, to roll it you install you place a config and you forget it. As PhpSysInfo is written in PHP it is also possible to install phpsysinfo on Windows. phpsysinfo is not the only available simple monitoring server performance remotely tool, if you're looking for a little bit extended information and a better visualization interface alternative to phpsysinfo take a look at linux-dash. OpenStatus – A simple and effective resource and status monitoring script for multiple servers. Disk Benchmarking is very useful for people involved in Graphic Design, 3D modelling, system admins and anyone willing to squeeze maximum of his PC hardware. 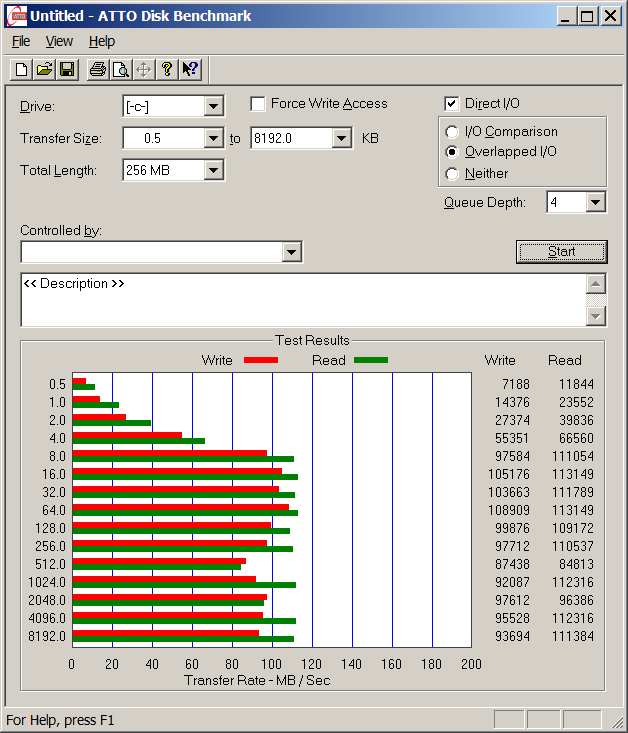 If you want to do some benchmarking on newly built Windows server targetting Hard Disk performance, just bought a new hard SSD (Solid State Drives) and you want to test how well Hard Drive I/O operations behave or you want to see a regular HDD benchmarking of group of MS Windows PCs and plan hardware optiomization, check out ATTO Disk Benchmark. So why exactly ATTO Benchmark? – Cause it is one of the best Windows Free Benchmark tools on the internet. ATTO is a widely-accepted Disk Benchmark freeware utility to help measure storage system performance. ATTO though being freeware is among top tools utilized in industry. It is very useful in comparing different Hard Disk vendors speed, measure Windows storage systems performance with various transfer sizes and test lengths for reads and writes. ATTO Disk Benchmark is used by manufacturers of Hardware RAID controllers, its precious tool to test Windows storage controllers, host bus adapters (HBAs). SMP systems and multi-tasking OS efficiency can be tested using up to 20 separate threads of execution. 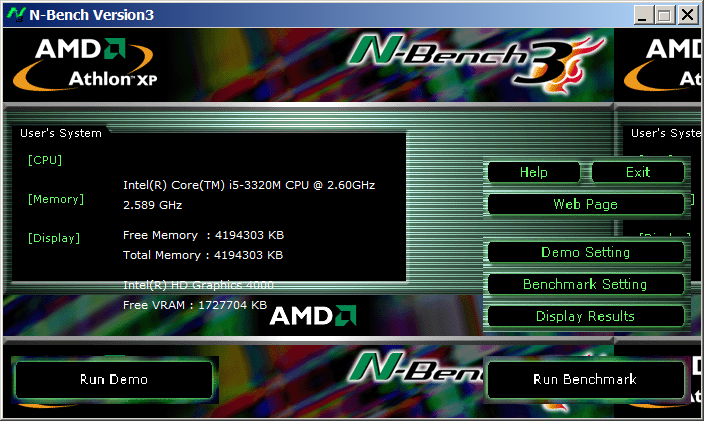 NTiogen benchmark was written by Symbios Logic, It's Windows NT port of their popular UNIX benchmark IOGEN. NTIOGEN is the parent processes that spawns the specified number of IOGEN processes that actually do the I/O. Bench32 – Comprehensive benchmark that measures overall system performance under Windows NT or Windows 95, now obsolete not developed anymore abandoned by producer company. IOZone – filesystem benchmark tool. The benchmark generates and measures a variety of file operations. Iozone has been ported to many machines and runs under many operating systems. N! B! Important note to make here is above suggested tools will provide you more realistic results than the proprietary vendor tools shipped by your hardware vendor. Using proprietary software produced by a single vendor makes it impossible to analyze and compare different hardwares, above HDD benchmarking tools are for "open systems", e.g. nomatter what the hardware producer is produced results can be checked against each other. Another thing to consider is even though if you use any of above tools to test and compare two storage devices still results will be partially imaginary, its always best to conduct tests in Real Working Application Environments. If you're planning to launch a new services structure always test it first and don't rely on preliminary returned soft benchmarks. if you know some other useful benchmarking software i'm missing please share. Sooner or later your Linux Desktop or Linux server hard drive will start breaking up, whether you have a hardware or software RAID 1, 6 or 10 you can and good hard disk health monitoring software you can react on time but sometimes as admins we have to take care of old servers which either have RAID 0 or missing RAID configuration and or disk firmware is unable to recognize failing blocks on time and remap them. Thus it is quite useful to have techniques to save data from failing hard disk drives with physical badblocks. With ddrescue tool there is still hope for your Linux data though disk is full of unrecoverable I/O errors. on the input file (unless you specify a maximum error number). small one and is promoted again after a while without errors. To use ddrescue for saving data first thing is to shutdown the Linux host boot the system with a Rescue LiveCD like SystemRescueCD – (Linux system rescue disk), Knoppix (Most famous bootable LiveCD / LiveDVD), Ubuntu Rescue Remix or BackTrack LiveCD – (A security centered "hackers" distro which can be used also for forensics and data recovery), then mount the failing disk (I assume disk is still mountable :). Note that it is very important to mount the disk as read only, because any write operation on hard drive increases chance that it completely becomes unusable before saving your data! In above example change /dev/sda2 to whatever your hard drive device is named. A small note to make here is that there is another tool dd_rescue (make sure you don't confuse them) – which is also for recovery but GNU ddrescue performs better with recovery. How ddrescue works is it keeps track of the bad sectors, and go back and try to do a slow read of that data in order to read them. By the way BSD users would happy to know there is ddrescue port already, so data recovery on BSDs *NIX filesystems if you're a Windows user you can use ddrescue to recover data too via Cygwin. I mainly have to deal with Linux servers. Today however I had to check for problems Microsoft Windows 7 server. The machine looked Okay but was reading from hard drive all the time. Hence I needed to check what is the Hard disk approximate read / write speed per second. I know on lInux tracking i/o hard disk server bottlenecks is done with iostat or dstat. 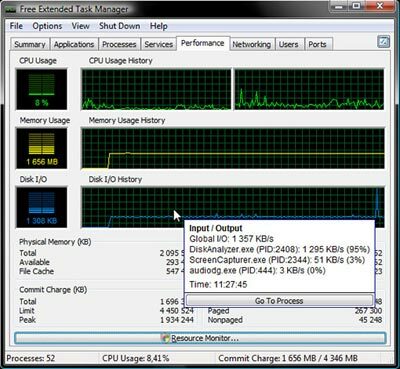 Press Ctrl + Alt + Del (Choose Start Task Manager) and from Task Manager click on Resource Monitor Button. 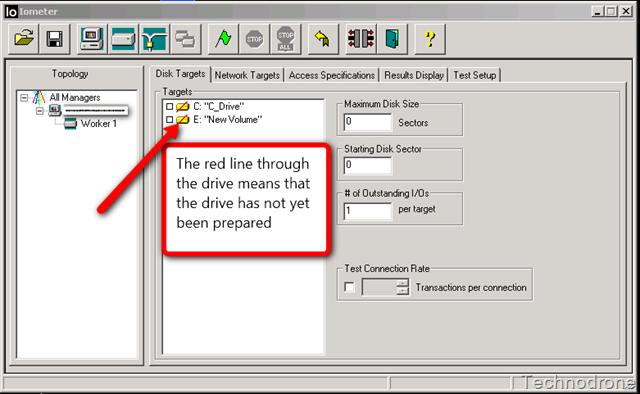 Immediately resource Monitor pops up and selecting the Disk tab priovides information on HDD Read / Write speed per sec. Using Resource Monitor, you can quickly also see which process is creating the most HDD overhead for server. Though I'm not Microsoft fan, I should admit Resource Manager does a great job. Some time ago, I've written a tiny shell script which does dumps of Complete (SQL Script) MySQL databases. There are plenty of ways to backup MySQL database and plenty of scripts on the net but I like doing it my own way. I have few backup scripts. I prefer script database over keeping binary logs, or using some un-traditional backup methods like backing all binary data in /var/lib/mysql. One was intended to backup with mysqldump whole database and later upload to a central server running tsh (shell). Using tsh maybe not the best method to upload, but the script can easily be modified to use ssh passwordless authentication as a method to upload. I'm not a pro shell scripter, but MySQLBackupper script can be used as useful for learning some simple bash shell scripting. To use the script as intended you will have to build tsh from source. Tsh is in very early development stage (ver 0.2) but as far as I tested it before some years it does great what it is intended for. You can MySQLBackupper.sh script from here. Earlier, I used MysqlBackupper.sh to upload all SQL dumps to /backups directory on central backup storage server, thus I had written secondary script to classify uploaded backups based on backup archive name. Script used is mysqldumps-classify.sh and can be viewed here. Though this way of making backups, needs a bit of custom work for managing backups up to 10 / 20 servers it worked well. I have written also another mysqlbackup script which is much more simplistic and only dumps with mysqldump and stores copies on hard disk in tar.gz archive. You can download my other simple mysqkbackup.sh here. Only inconvenient thing about above scripts is they dump all SQL databases. Hence whether necessary to get content for single database from (complete) All database SQL (script backup), I use SED (stream editor) one liner script. It is interesting to hear how others prepare their MySQL db backups. Many admins might not know about smartmontools Linux package. It provides two useful tools smartctl and smard which use (Self Monitoring and Reporting Technology system) often abreviated as S.M.A.R.T.. SMART support is nowdays available across any modern ATA, SATA and SCSI hard disks. smartontools package is installable via default package repositories on virtually all different Linux distributions. Having smartmontools installed on all critical productive server is a must for the reason it serves as early notification system in case if hard disk is on the down-verge of break-up (i.e. 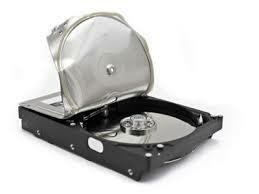 physical media of hard disk storage starts getting damaged). Through the last 14 years I worked as Linux sysadmin. I've used smartmontools on hundreds of servers and on many times it save companies hundreds of dollars by simply reporting a system hdd is dying and by replacing the server or hard disk with identifically configured ones. smartmontools supports monitoring of single hard disks as well as ones configured on a hardware level to work in some RAID array. As of time of writing you can check list of smartmontools supported hardware RAID-Controllers here. SMART support is: Available – device has SMART capability. Auto Offline Data Collection: Enabled. data collection: ( 423) seconds. capabilities: (0x5b) SMART execute Offline immediate. Error logging capability: (0x01) Error logging supported. recommended polling time: ( 1) minutes. recommended polling time: ( 19) minutes. SS=sec, and sss=millisec. It "wraps" after 49.710 days. When the command that caused the error occurred, the device was active or idle. 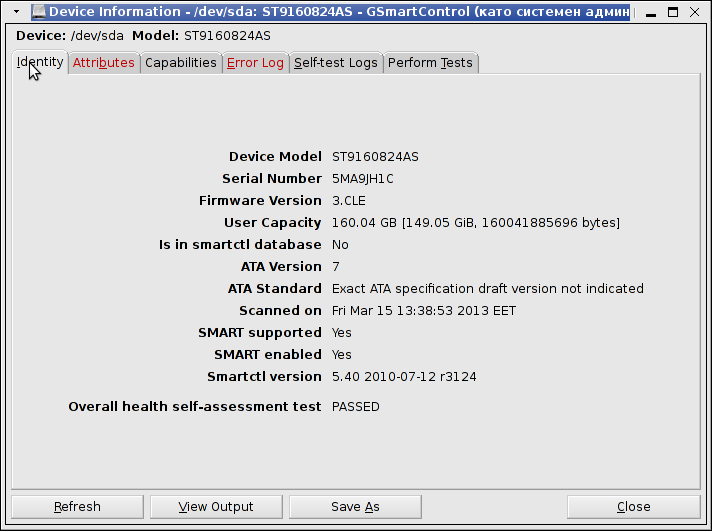 For people who prefer to visualize things in Graphical environment smartd service hard disk health data can be viewed in nice graphical interface wth gsmartcontrol tool. Most Linux servers don't have graphical environment as having a X server with any graphics manager is a waste of system resources thus installing gsmartcontrol doesn't make much sense, however for monitoring and reporting for upcoming Hard Disk issues gsmartcontrol is a good one to have. If you get something different from Overall health self-assessment test PASSED, this means hard disk has a surface damage and needs to be replaced ASAP. If during hard disk normal operation HDD hits I/O errors and you can't afford to have a GUI environment just for gsmartcontrol, errors gets logged in dmesg hence dmesg could be useful to provide you with info of a failing hard drive. I just read an article in Linux-Magazine on Advanced File Management named – "Beyond the Basics". Most of what the article says is pretty trivial and known by any Linux enthusiast average user and administrator. There was one command mentioned shred which is probably not so well known among Free Software users shred allows the user to "secure delete files" / from the hard disk irreversible. The tool is part of coreutils package and available across mostly all Linux distributions including Debian / Ubuntu debian derivatives and the RedHat based distros CentOS, Fedora, RHEL etc. One common use of shred is by sysadmins who has to prepare old server containing lets say client data (SQL) – mail boxes or just file data and then sell it to third parties making sure data will be un-restorable for the new owner. Also shred is used a lot by crackers who set up "time bombs" activated on user activity or inactivity to destroy evidences in case of crackers PC is being captured by police. Though shred cannot guarantee 100% that deleted data can't be recoved within a special data recovery lab in most of cases it is enough to assure data with it will be almost impossible to recover. Try to raise this value with 50% (524288), (1048576 + 524288) = 1572864. Try to change it to true, as this might have positive effect on flash video buffering and thus improve a bit experience. Again it is good practice to try raise it with 50% and test if Flash Player performs better. I.e. (358318/2) = 179159, (358318+179159) = 537477. Hence raise it too lets say 358318. I give the 50%, example because the cache size on Firefox (IceWeasel) will differ depending on the browser version Linux distro and architecture. In time of writting on my Firefox ver. 18.0.1 it is set to 5242880. I'm looking forward to hear if this little tuning tips helped improve Flash Player. If you happen to have some positive impact on Video flow, please drop a comment with Linux distribution type and version, Flash Player version and changed caching variables. I was a bit sleepy and in a hurry, so at first glimpse I didn't well read the Pop-upped Windows exact error, after carefully reading, I've realized the 689342.exe and the rest of ID.EXE that were trying to open, whether clicked on the "questionable", missing shortcuts is for sure some kind of most likely Polymorphous Spyware / Virus or a combination of both. The person owning the computer, was quite in shock as most of his data was located on the external HD drive. My assumption of course was that the problem is not so severe as it looks, as I've fixed plenty of Windows-es with mixed up registry, which were mixing how Windows understands windows extensions. My hope was that the problem will be solved by simply Checking the Windows Registry with – Little Registry Cleaner tool and fixing the irregularitieswith current registry, thus I did a quick scan with it fixed a bunch of registry problems, did the usual Windows restart, but this helped not. Thus I, therefore started a Malware Bytes Anti-Malware Spyware "Swiss Army Knife" prog 🙂. Paralelly with scanning I decided to check if physically files are present on Hard Disk, by dir listing the files in Windows command prompt – cmd.exe , there all seemed okay files and directories were present, I can CD into each of the directories incorrectly showing in Win File Explorer as missing shortcut and all inside dirs was just fine. As you can see on below screenshot, I had the Malware Bytes running in parallel along with a Working copy of Avira Free Antivirus, while the above command was running Avira immediately detected a bunch of Virus files, which were offered to be Removed or Quarantined. After removing, all of the badware and testing in Explorer, all folders in F:\ were showing as normal. This just happened in one server I administer. To restore the normal server operation I freed some space by deleting old obsolete backups. Actually the whole reasons for this mess was an enormous backup files, which on the last monthly backup overfilled the disk empty space. 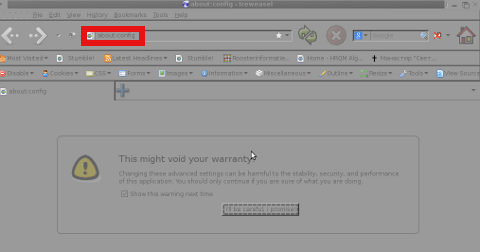 Besides that there have been corrupted (crashed) tables, which reported next to above error. Didn't help it, though the file created fine. Anyways a bit of a closer examination I've noticed a /tmp filesystem mounted besides with the other file system mounts ???? You can guess my great amazement to find this 1 Megabyte only /tmp filesystem hanging on the server mounted on the server. I digged in Googling to see, if I can find more on the error and found actually the whole mess with this 1 mb mounted /tmp partition is caused by, just recently introduced Debian init script /etc/init.d/mountoverflowtmp. It seems this script was introduced in Debian newer releases. 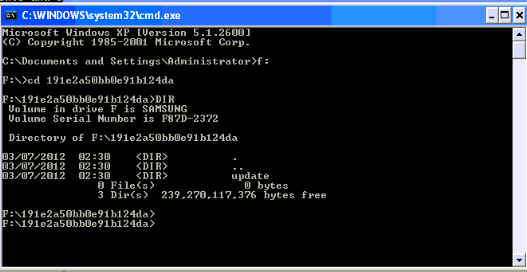 mountoverflowtmp is some kind of emergency script, which is triggered in case if the root filesystem/ space gets filled. Once started what it does it remounts the /tmp to be 1 megabyte in size and stops its execution like it never run. Well maybe, the developers had something in mind with introducing this script I will not argue. What I should complain though is the script design is completely broken. Once the script gets "activated" and does its job. This 1MB mount stays like this, even if hard disk space is freed on the root partition – / …. Also as I had a bunch of crashed tables and to fix them, also issued on each of the broken tables reported on /etc/init.d/mysql start start-up. Stopping MySQL database server: mysqld. Starting MySQL database server: mysqld. Tadadadadam!, SQL now loads and works back as before! shall be none to bury her. And he opened the door, and fled. ☩ Walking in Light with Christ – Faith, Computing, Diary 2006-2016 Powered by: Pc Freak Solutions and Comments (RSS).